atop a car during demonstrations against President Omar al-Bashir said on Thursday she had received death threats since her image went viral. 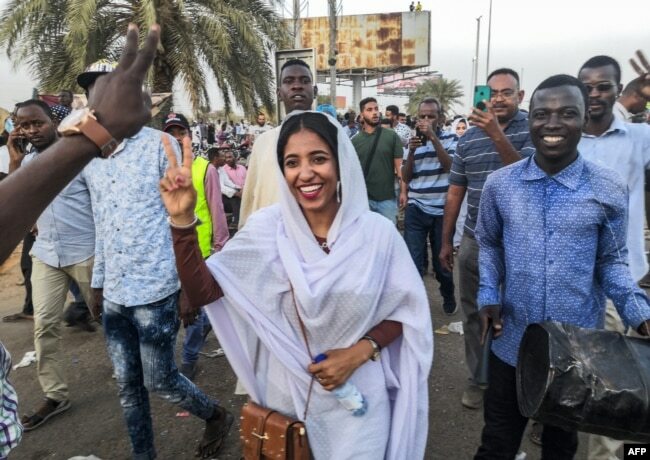 FILE - Alaa Salah flashes the victory gesture and shouts slogans while marching during a demonstration in front of the military headquarters in the capital Khartoum, April 10, 2019. 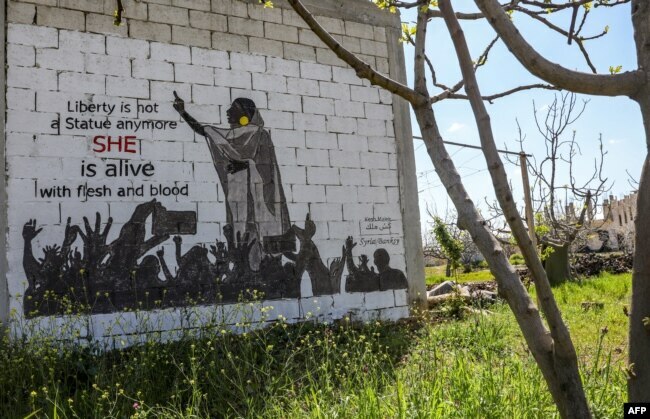 A mural painting of a protesting Alaa Salah is seen on the wall of a farmhouse building in the rebel-held Syrian town of Kafranbel in the northwestern Idlib province, April 12, 2019.